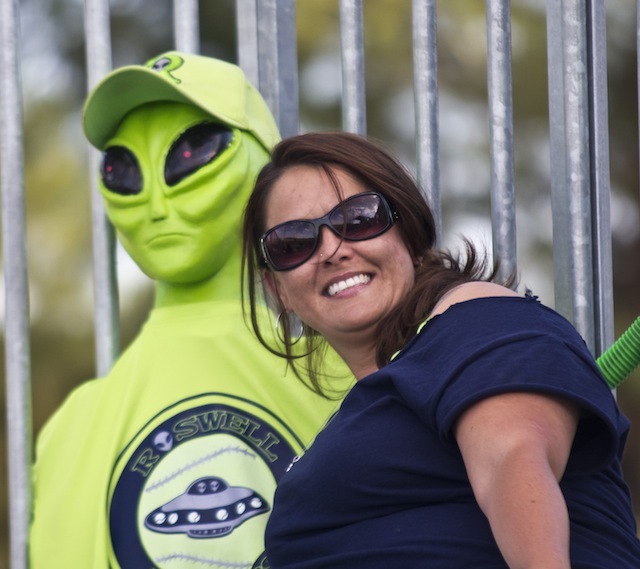 ROSWELL � It�s unusual when the losing manager is happier with his team than the winner, but that was the case Tuesday in Roswell. 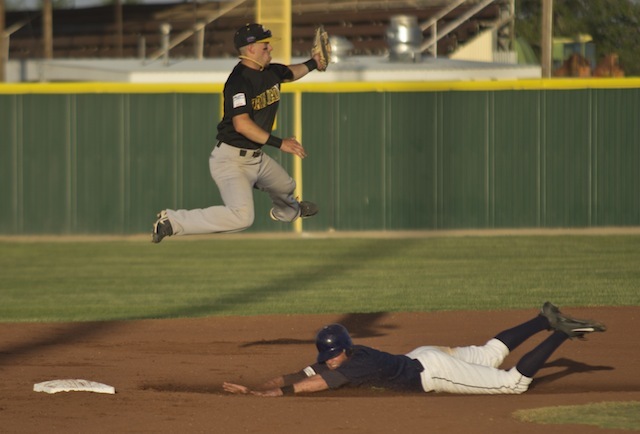 The Invaders edged Trinidad 12-10, but gave up all 10 of the Trigger runs in the last four innings. The Invaders put nine runs oin the board in the first five innings, with only the second scoreless. After a Chad Kruse single to open the game, Ryan Normoyle hit a shot out of the park to make it 2-0. In the third, Roger Bernal reached on a solid bunt single, advanced on a ground out by Vincent Mejia and scored on a Mike McCarthy single. The Invaders added another two in the fourth when Sa reached on an error, advanced on singles by Reggie Taylor and Kruse and scored on an out, then Taylor came in on a fielder�s choice. 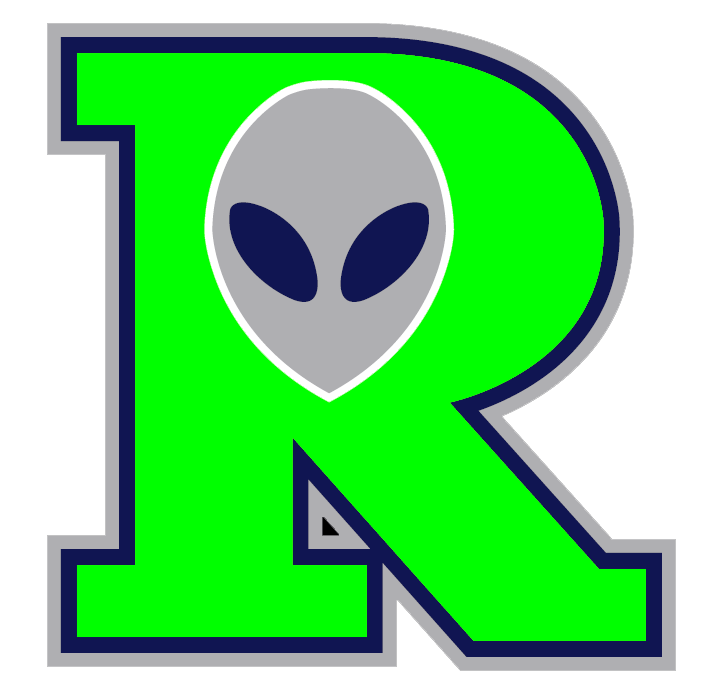 Roswell�s biggest inning was the fourth, when new Invader Daniel Baptista walked, Andrew Deeds walked and Sa singled, plating Baptista. That left two runns on for reliever Kellen Quintana, who quickly got two outs, but then Normoyle singled in Sa, Bernal was hit and Vincent Mejia brought in Normoyle. 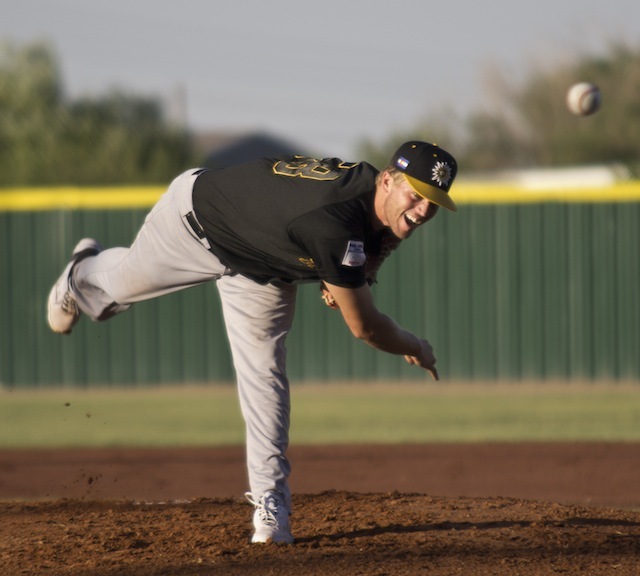 After facing only one batter over the minimum through five � Sam DiMatteo singled in the first � including striking out the side in the fifth, Sa ran into a little trouble in the sixth. Richie Serritella walked, but was caught stealing. Kellen Quintana, Matt Hunt and Jacob Fabry each singled, plating Quintana, then DiMatteo came up and hit a three-run home run to cut the gap to 9-4. But the Invaders came back with three in the bottom of the stanza. Baptista singled, Deeds was hit, then, one out later, Taylor hit a shot out of the park that made it 12-4. But Trinidad didn�t hang up their cleats. Trinidad opened the seventh when Will Leonard reached on an error. Jason Venya followed with a fielder�s choice then Serritella walked. Pinch hitter Mike Goldy singled, loading the bases, and that was it for Sa, who left to big applause. 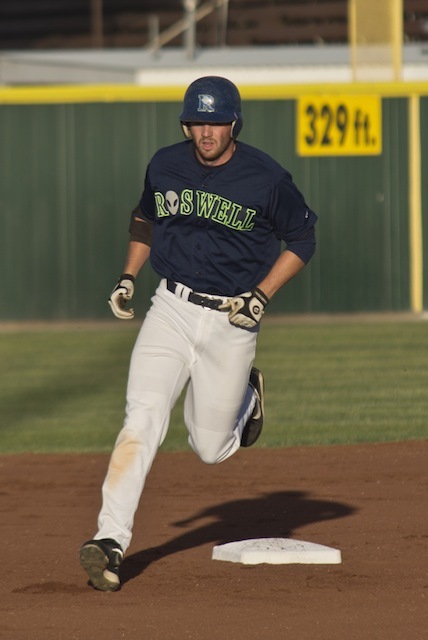 But a throwing error brought in two runners, and although reliever Chad Hardison got the next two outs, the third run came on an out. After giving up a triple to Frank Florio to lead off the eighth, Hsardison struck out the side and the Invaders went into the ninth up 12-7. But Dakota Laufenberg walked Serritella and gave up a Goldy single. 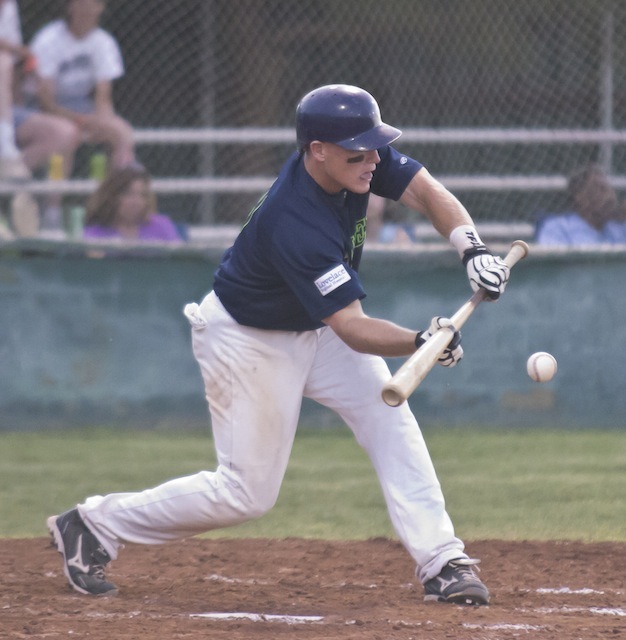 A fly ball and fielder�s choice put Roswell one out away from the win, but DiMattero was hit to load the bases and Florio again tripled, this time bringing in three runs. Ryan Rogers then intentionally walked Bryce Miller and got Wink Nolan to hit right bacj to him, ending the game with a throw to first. �Our relievers have to come in and shut people down, especially when you�re up five runs in the last inning,� Ebright said. And he hopes it will happen again. �The last two games we�ve got our No. 1 and No. 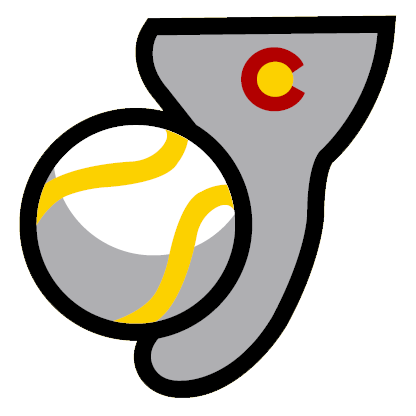 2 pitchers, but we�re not conceding tomorrow, either. We don�t concede anything,� Droddy said.